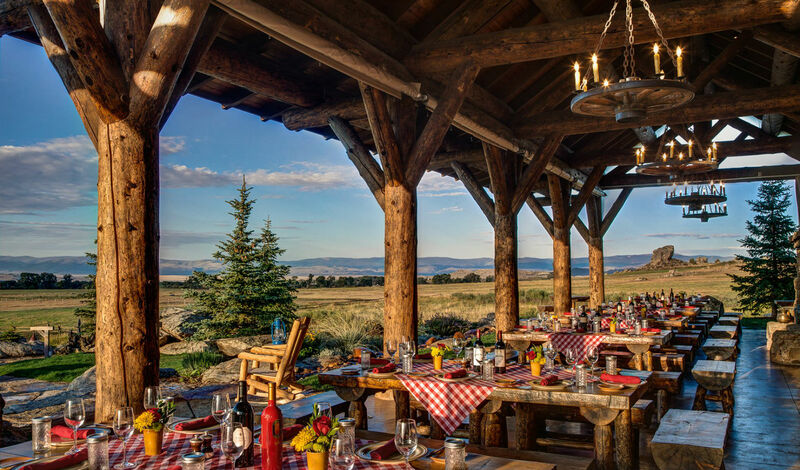 Brush Creek is a luxury dude ranch situated on 15,000 acres of the ultimate Rocky Mountain wilderness in the heart of Wyoming. Home to 39 rooms and cabins this stunning resort dates back to the late 1800’s and it’s all American heritage remains very much apparent. Dedicated to maintaining the traditional spirit of the West this is the perfect spot for the discerning traveler; think big days exploring the great outdoors followed by dinner huddled around the campfire whilst your fur lined bed awaits. 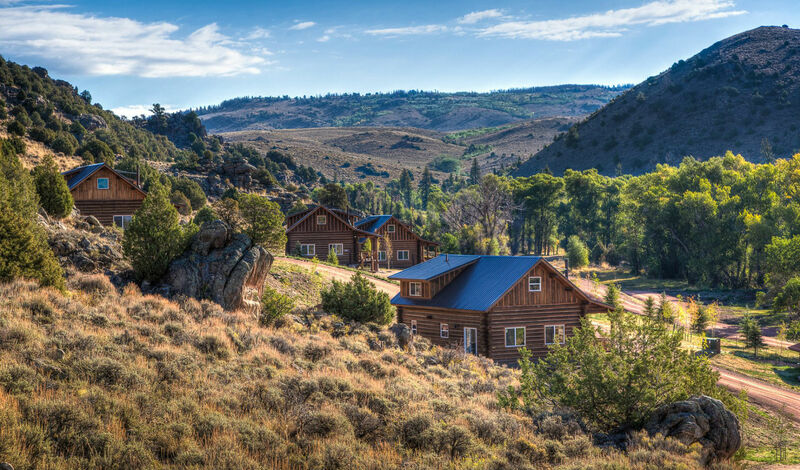 You’ll find Brush Creek Ranch stretching over 15,000 acres of wilderness in the depths of Saratoga in Wyoming, between the Sierra Madre Mountain Range and Medicine Bow National Forest. Fly to Denver International Airport and this natural paradise is a three and a half hour drive away. Picture rustically elegant cabin suites and lodges dotted across pristine rolling hills. The whimsical log bungalows exteriors have got traditional down to a T, but it’s a different story on the inside with every modern amenity you could imagine. Think sumptuous king size beds nestled in front of huge open hearth fire places, combined with private porches to take in the captivating sweeping ranch views. What’s not to like about this unique retreat that will have you feeling at one with nature in no time. We love the range of wholesome activities that are on offer; discover the stunning trails on horseback, take to the mountains for some adventurous rock climbing and even chill out to the max with an outdoor yoga class on a platform overlooking the river valley. Make sure not to miss out on an evening spent in the classic saloon either, complete with a jukebox, billiards and all American shuffleboard.